Coppertone Oil Free Lotion Review: Does It Really Deliver Results? This oil-free, non-comedogenic lotion is formulated to protect your skin against UV radiation and prevent sunburn. With photostabilized Avobenzone, it also helps prevent premature skin aging due to sun exposure. To know if this lotion is a good addition to your skin care routine, read our complete Coppertone Oil Free Lotion Review. This oil free lotion is created by Bayer, a Life Science company that has been in the health care and agricultural industry for over 150 years. Coppertone operates as a subsidiary of Bayer. 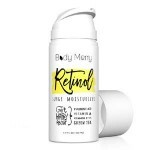 Founded in 1944, it has expanded its product portfolio to include sunscreen lotions, mousse sunscreens and continuous spray sunscreen. To use Coppertone Oil Free Lotion, apply a liberal amount to skin 15 minutes before sun exposure. Re-apply every after 80 minutes of sweating or swimming. After towel drying, you need to re-apply right away. It is not suitable for children under six months. Homosalate: It is an organic compound used in a number of sunscreens. 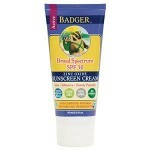 It protects skin from sunburn by filtering the UV rays. Avobenzone: A common chemical sunscreen that protects skin against sunburn-causing UVB rays, as well as UVA rays, which cause premature skin aging and cancer. Octocrylene: It helps stabilize Avobenzone, but is also known to release free radicals and mess up with endocrine system (endocrine disruptor). Octisalate: An organic compound that absorbs full range of the sun’s damaging UVB rays. Its salicylate component soaks in ultraviolet light and protects skin against its harmful effects. It also has an emollient component called ethylhexanol portion that adds oil-like or water-resistant properties. 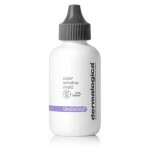 Protect skin against sun damage and helps slow down skin aging. Noncomedogenic formula (won’t clog pores). Spreads easily on skin and feels light. Water-resistant (up to 80 minutes). Contains a number of harmful chemicals that are known to cause side effects. Increased chance of stinging and irritation (especially for people who have dry skin). 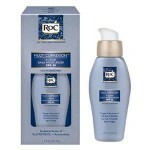 Contains parabens (Methylparaben and Propylparaben). One of its active ingredients, Homosalate, is a potential endocrine disruptor and may enhance the absorption of pesticides in the body. There’s no money back guarantee for this product. 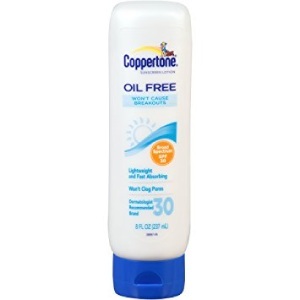 Coppertone Oil Free Lotion is a chemical sunscreen which is coupled with negative consequences. It’s most active ingredient, homosalate (13%), seems to have the ability to get past the skin’s guards. It goes straight to your blood stream and what’s bad is it has a plus-one. It takes other toxins, including pesticides with it. Octocrylene does not have a good safety profile either. It is known to disrupt the endocrine system and release free radicals. 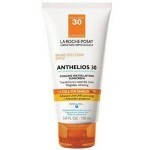 Opt for oil-free lotions that offer sun protection but without the harsh chemicals. There are other brands that work better than this product. No any type of guarantee is specified on its website.